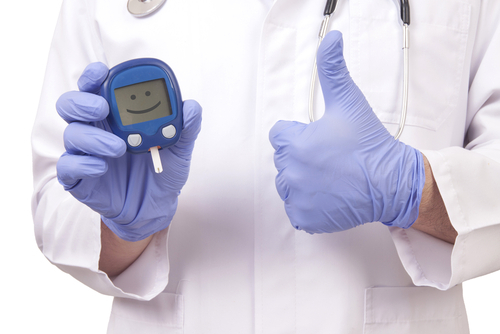 Diabetes and Sports Massage – What do you need to know? People suffering from diabetes are prone to nerve compression syndromes, prolonged gripping or direct nerve compression during weight training, cycling, running, jumping and other activities. Long-term elevations of blood sugar can cause oxidative stress, damage and structural changes in joints. It may also cause imbalances between strength and flexibility around joints, for example, quadriceps versus hamstrings. Some studies suggest Type 1 diabetes might have an impact on young athletes’ performance as a result of dramatic changes in blood sugar levels. It is also associated with heart disease. Hypoglycemia is a condition which can cause dip in blood sugar levels. Physical activity itself is also one of the factors which can cause dip in blood sugar levels. Regular exercise can have a beneficial effect on people with diabetes however intense physical activity can make glycemic control challenging. Also sensation of pain diminishes in people suffering from diabetes. Type 1 diabetes is treated with daily insulin injections as an individual suffering from this condition is unable to produce insulin. Daily insulin injections can cause micro-traumas in the skin which could become a chronic issue. If insulin is injected into the same spot too regularly lipohypertrophy can occur as a result of accumulation of fatty, tough lumps underneath of the skin. Massage can help to alleviate these symptoms but as a preventive measure injection sites should be rotated. Regular massage will be able to improve the condition of that tissue which is not in the acute phase. It may also help to restore balance between those muscles around those joints affected by long-term elevations of blood sugar, improving their ROM (range of motion). Weak muscles can be strengthened and, at the same time, shortened muscles can be lengthened and stretched. Contact me to book your appointment. "When I was having trouble exercising without pain I searched for a high quality yet affordable massage therapist who could pinpoint the problematic areas and communicate the issues to me clearly. I was looking for someone who was understanding but very professional so that no time was wasted. Pedro is the best therapist that I have ever come across and I have been training around and working with some of the top fitness professionals in the city. Within a month, my injuries have improved and it has been possible for me to be the best personal trainer I can be. I am and will continue to have weekly appointments with him for as long as is necessary."